January is “National Soup Month”, a holiday celebrated annually in the United States. Although this is an American holiday; soups from around the world are celebrated. By definition, soup is a liquid food that is made by combining ingredients, such as meat, vegetables or beans in stock or hot water, until the flavor is extracted. Before there was soup, there was broth, which people used to pour over a piece of bread in a bowl. That bread was known as sop, and from sop came the word soup. Now that we’ve had our history lesson, let’s talk about how you can celebrate here in your own backyard. City dwellers and suburbanites are both in luck! Chances are no matter what neighborhood or suburban city you live in, there’s a restaurant nearby waiting to warm you up. 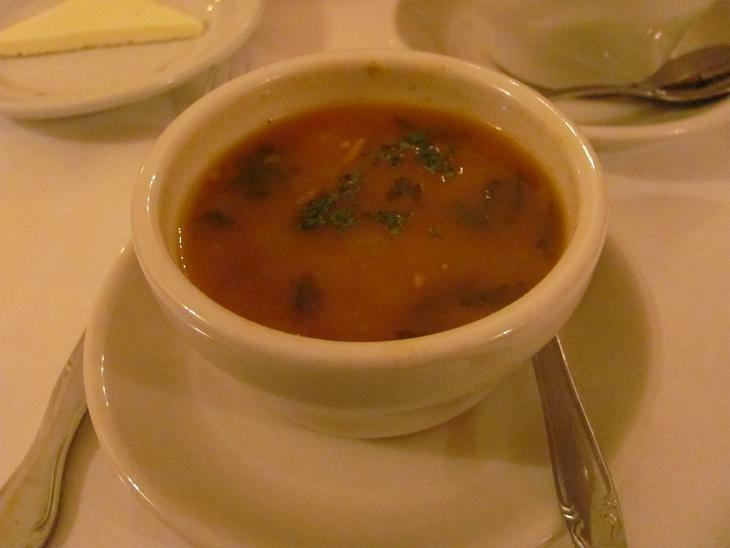 And with our fine Chicago winter being as cold as can be, doesn’t a nice warm bowl of soup sound good right about now? 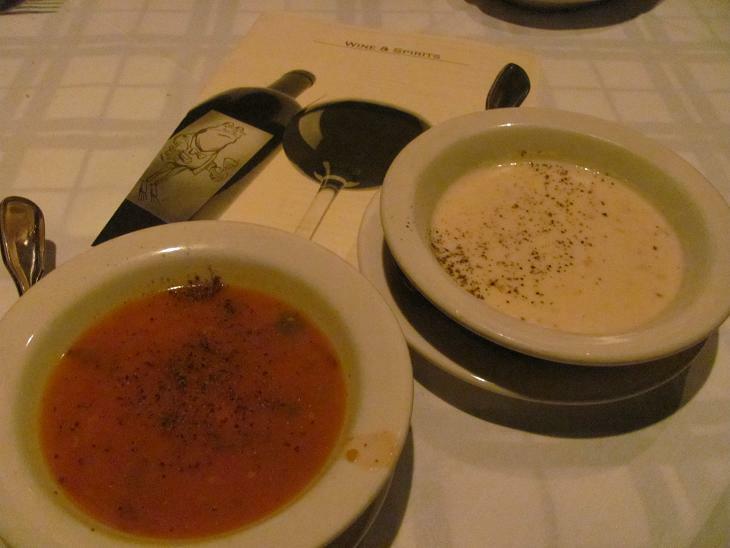 I embarked on my own “Soup Day” adventure recently in suburban Naperville. To make me yearn for soup, I decided to forgo the valet and park a couple of blocks from my first stop and walk through the cold. First stop was Hugo’s Frog bar to help warm my bones. Hugo’s is owned by Gibson’s, which means it’s bold, loud, and plenty of fun. First soup offered was the creamy New England clam chowder that boasted a generous helping of tender clams. Soup of the day was the chicken and rice and was very close to what your mother might have made. My favorite though was the Bookbinder soup. A rich and hearty vegetable and seafood soup that had just a little heat added to help warm your mouth and your soul. To get that need for soup again, a one mile walk to Meson Sabika was in order. Unlike Hugo’s, the quiet dining room feels like your in someone’s home. In a way you are since this restaurant was converted from a residence to a restaurant some time ago. Three unique soups were available and a sample of them all was in order. The first was the “Sop de Alubias Negras”, a black been soup with chorizo that had a nice smoky flavor. My personal favorite was the “Caldo Gallego”, a hearty white bean soup that had pieces of bacon and Serrano ham throughout. The soup of the day was a cream of mussel soup that was blended velvety smooth and had the flavor of the mussels right on the forefront. Whether your craving cream of chicken or cream of mussels, January is definitely the time to exercise your love for soups. And if you don’t listen to me, listen to your mother, because she’s probably told you eat more soup since you can remember. Below is a list of participating restaurants.